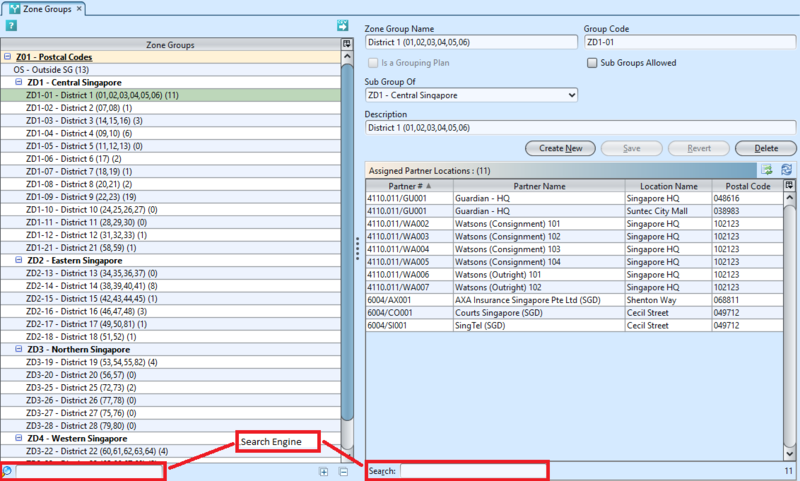 The purpose of Zone Groups view is to manage company’s partners’ locations (e.g. vendors, customer, and employees) into zones. By managing partners’s delivery locations into certain zones or districts, it allows users to quickly sort their order to cash transactions documents according to the defined areas and take actions on these more efficiently, i.e. manage processing time / delivery management. 2. 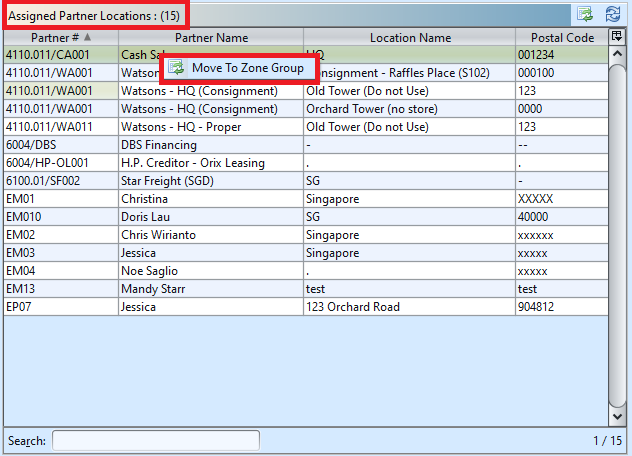 Right click on the mouse on a partner location in the “Assigned Partners” table and select “Move to Zone Group”. 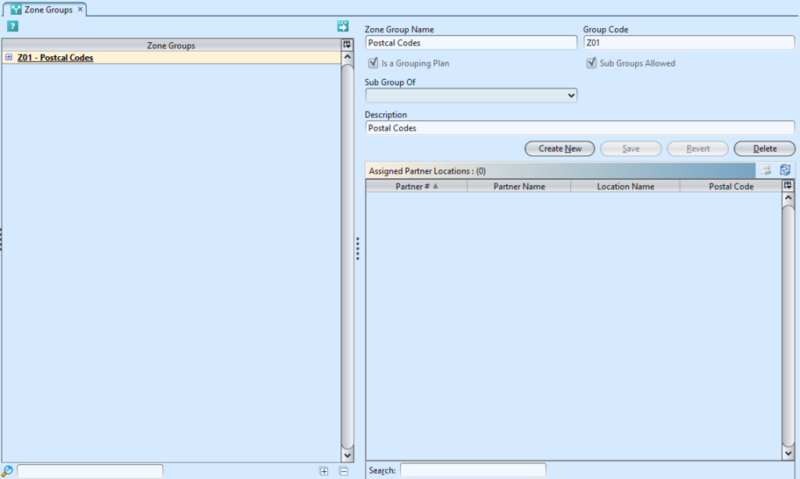 User can sort the partner locations list accordingly, i.e. click on “Postal Code” to sort by the locations’ postal codes.